We love highlighting our partnerships with the various agencies and organizations whose cooperative efforts make great things happen for conservation. 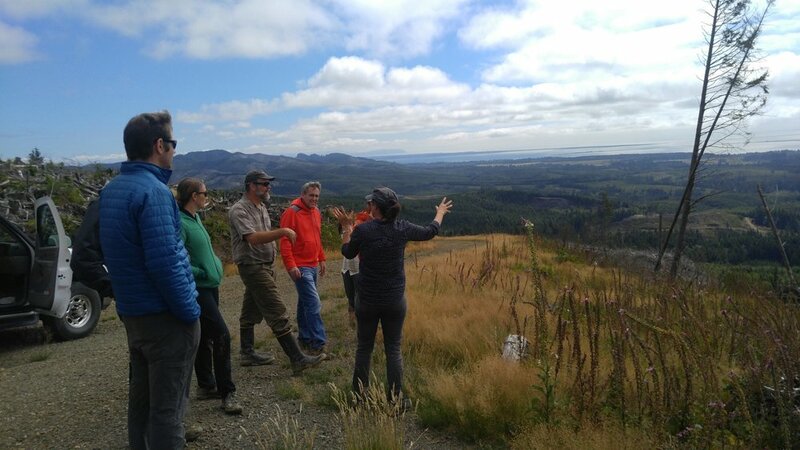 This week we had the chance to co-host a tour at our Ellsworth Creek Preserve and the adjacent Willapa National Wildlife Refuge for staff from U.S. Rep. Jaime Herrera Beutler’s office. The tour featured an air-boat ride, good and muddy boots, huge earth-moving machinery and impressive stories of the large-scale restoration happening in and around Ellsworth. Not only does the cooperative work at Ellsworth and Willapa National Wildlife Refuge benefit salmon and science, it’s also an economic boon for southwest Washington’s coastal communities, providing good jobs for foresters and other contractors and directing money into local economies through recreation opportunities, wages and restoration spending. The tour highlighted the need for federal investment in thriving coastal economies, salmon-recovery success and long-term, large-scale forest restoration, all of which support each other. Check out some of our photos from the tour and the press release below. 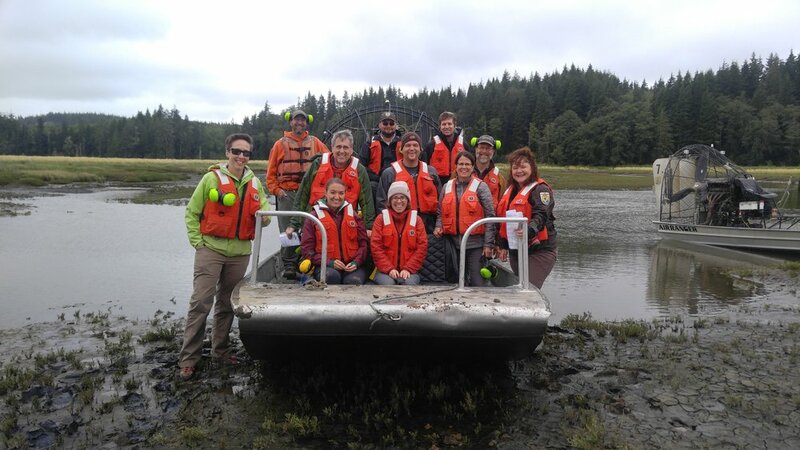 ILWACO, WA – This week the Coast Salmon Partnership, in conjunction with the Willapa Bay Lead Entity, The Nature Conservancy and Willapa National Wildlife Refuge, led Congresswoman Jaime Herrera Beutler’s district staff on a tour of salmon restoration project sites. 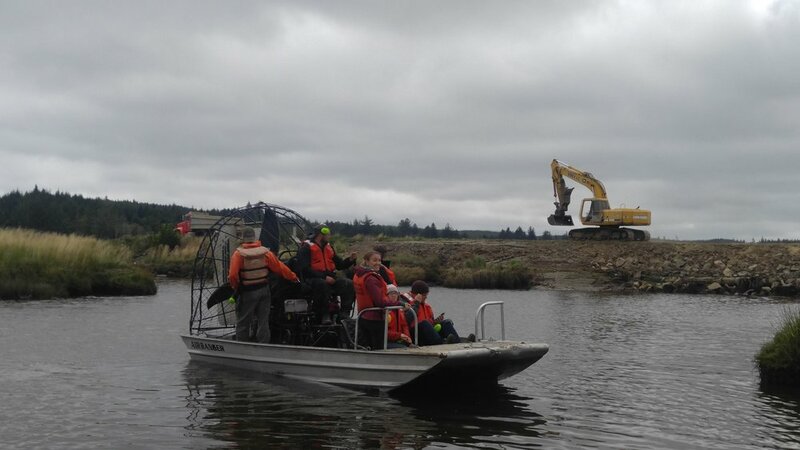 The tour, of the Willapa National Wildlife Refuge and The Nature Conservancy’s Ellsworth Creek Preserve, showcased how the NOAA-funded Pacific Coastal Salmon Recovery Fund (PCSRF) supports a broad range of jobs in watershed-scale restoration. 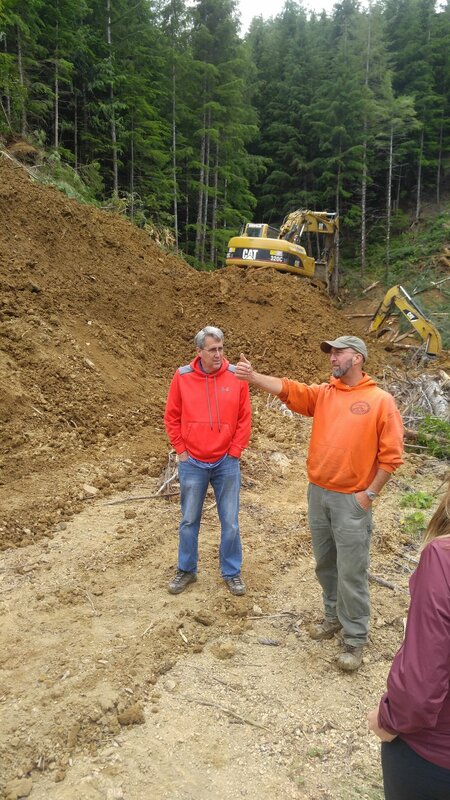 The ongoing restoration work at Ellsworth Creek Preserve is improving stream and forest conditions for salmon and other wildlife. NOAA’s investment in the region through dedicated PCSRF grants provides direct support for locally-based work to restore and protect some of Washington State’s strongest remaining wild salmon populations. Since 1999, over $12.6 million from NOAA’s PCSRF has been invested in the coast region, leveraging an additional $33 million in state and local funding for the locally based approach to salmon recovery. Since 2009 alone, more than 440 fish passage barriers have been removed in the region, opening more than 715 miles of habitat to spawning, rearing, and migration. This enhanced habitat has helped to recover salmon populations while also providing family-wage jobs for local contractors, equipment operators, surveyors, engineers, biologists, and project managers. In an area with some of the highest unemployment rates in the country, this funding has provided a lifeline for both our salmon and the communities that depend upon them.